The Constantia Fresh festival has become one of the most prestigious outdoor wine events in South Africa, and last year over 1200 people headed out to join in all the wine fun, and enjoy sampling some of the country’s finest wines on offer by 45 exhibitors, whilst 8 of South Africa’s top chefs prepared food to accompany the wines. The festival offers a refreshing change to the many wine events held in crowded halls and is tailor-made to ensure that guests not only enjoy the day, but that each leaves feeling invigorated and filled with a lust for life. They also really focus on ‘freshness’ – from food to wine and life in general. This year – one of my faves, Steenberg, will be taking part too! The date to diarise is 24th February and the venue is Buitenverwachting. The festival will run from 14h00 until 18h00. Steenberg’s Executive Chef, Kerry Kilpin, will be joining top local chefs dishing up culinary gems to accompany the wines. 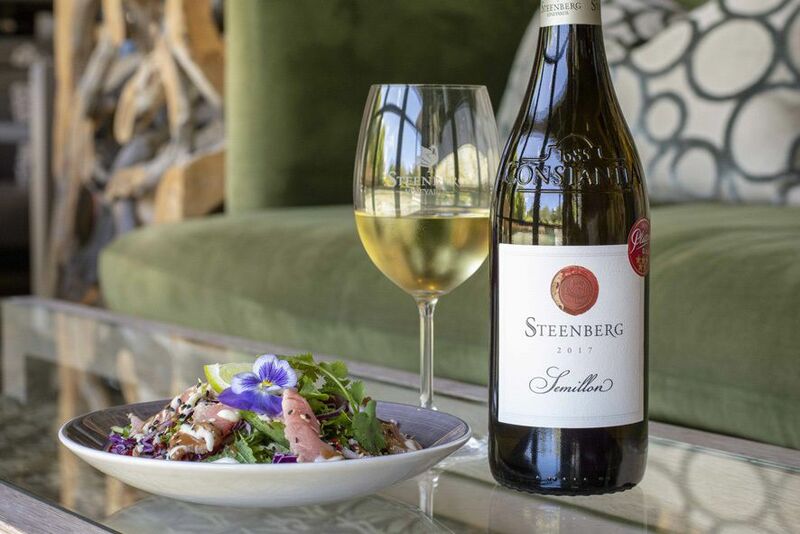 Chef Kerry has chosen her fresh and vibrant seared steak salad as the perfect outdoor taste partner for Steenberg’s selection of signature cool climate wines. The beautifully textured Semillon is a particularly good match for this sumptuous summer salad. The day is one of relaxation and a taste sensation which will leave body, mind and spirit invigorated. The country’s freshest wines are grouped together stylistically so as to allow visitors to better experience the wide range of vinous flavours whilst local chefs serve fresh and vibrant food to accompany the wines. Coffee and local craft beer are also on offer throughout the day, whilst live music will entertain and soothe the soul. Images and info sourced online.